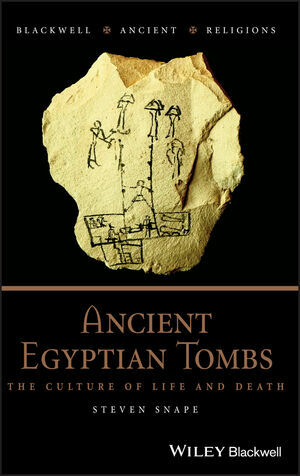 This book explores the development of tombs as a cultural phenomenon in ancient Egypt and examines what tombs reveal about ancient Egyptian culture and Egyptians’ belief in the afterlife. Steven Snape is Senior Lecturer in Egyptian Archaeology at the University of Liverpool, Director of Archaeological Collections in Liverpool University’s Garstang Museum of Archaeology, and Director of its excavations at the Ramesside fortress-town of Zawiyet Umm el-Rakham. His books include Six Archaeological Sites in Sharqiyeh Province (1986), A Temple of Domitian at El-Ashmunein (1990), Egyptian Temples (1996), and Zawiyet Umm el-Rakham I: The Temple and Chapels (with P. Wilson, 2007).